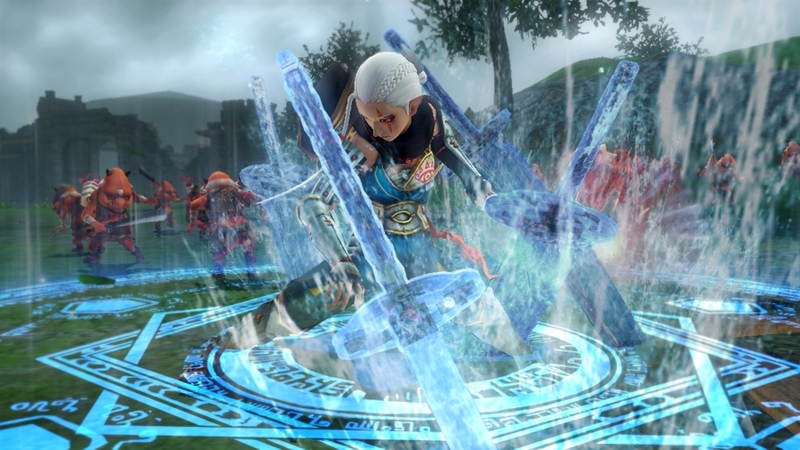 Nintendo of America has released a press release covering some details from Hyrule Warriors. Previous known as Shia - Sorceress Cia is the name of the new villain. Impa joins as a playable character for the first time with a huge sword and can perform powerful combos. There are still unknown playable characters as well. The first stage of the game takes place in Hyrule Field. You can view more screenshots and the press release after the break. REDMOND, Wash.--(BUSINESS WIRE)-- Hyrule Warriors, the imaginative upcoming game for the Wii U console, combines the action-packed game play of Tecmo Koei's Dynasty Warriors series with the iconic characters and worlds from The Legend of Zelda series. In addition to the focused action game play of leading one soldier against a massive horde of enemies, the Dynasty Warriors series is also known for its epic storyline. 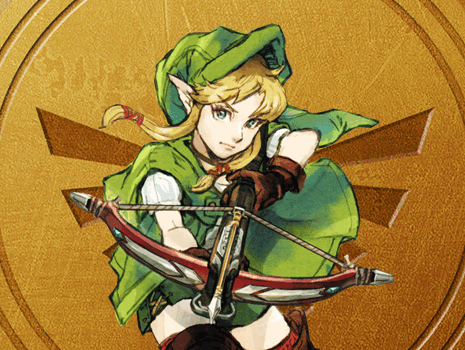 In this game, players control Link as he faces a powerful new enemy – the evil sorceress Cia – and her army to rescue the captive Princess Zelda. For the first time ever, Princess Zelda's loyal Hyrulean Captain Impa makes her debut as a playable character. Impa equips a huge sword and can perform powerful combos to defeat enemies. 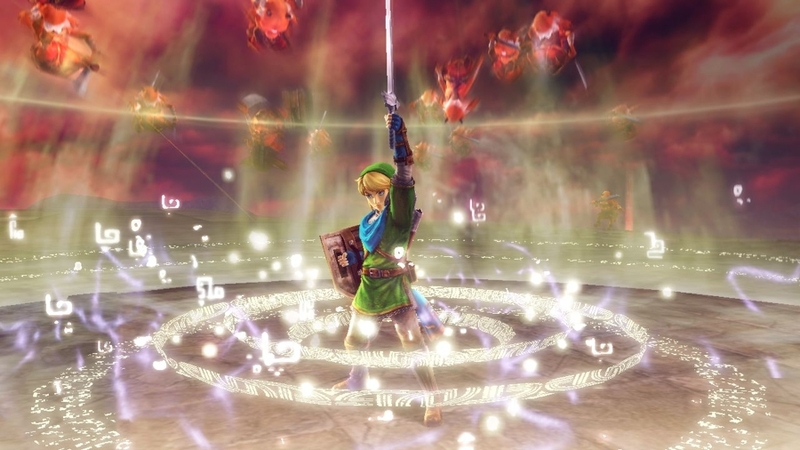 Many other surprising playable characters make appearances in Hyrule Warriors, and each playable character will have signature weapons and action animations. The first stage of the game takes place in Hyrule Field, a location that will be very familiar to fans of The Legend of Zelda series. The game-play structure of most of the stages bears a close resemblance to theDynasty Warrior games, so Hyrule Warriors is a game that can truly be enjoyed by fans of both The Legend of Zelda and the Dynasty Warrior series. Players must defend or reclaim areas by fighting against hordes of enemies and using different types of flashy and powerful moves. 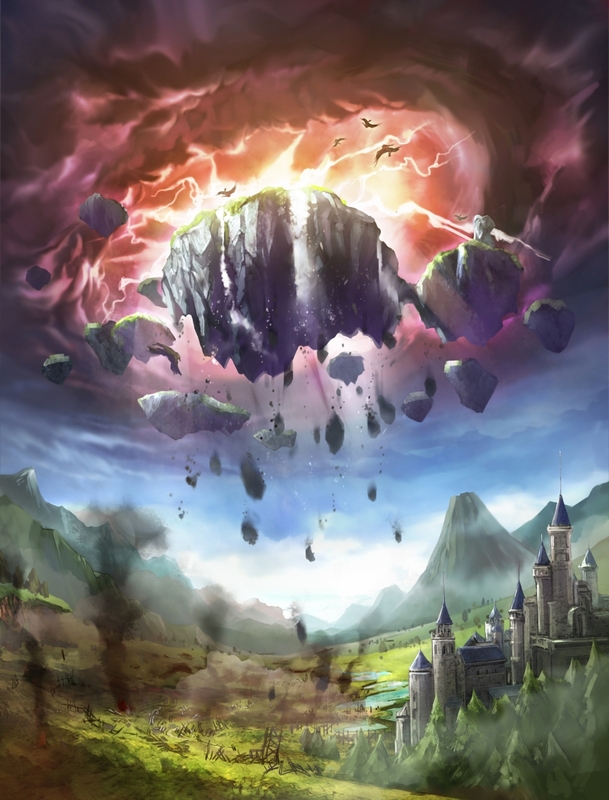 Players will encounter new enemies such as Sorceress Cia, but some familiar enemies like Bokoblins and Lizalfos from The Legend of Zeldaseries will also appear in the game. For more information about Hyrule Warriors, visit //www.zelda.com/hyrule-warriors.